George Russell Cockerell was Frampton's father-in-law (see Borenius and Jezzard). 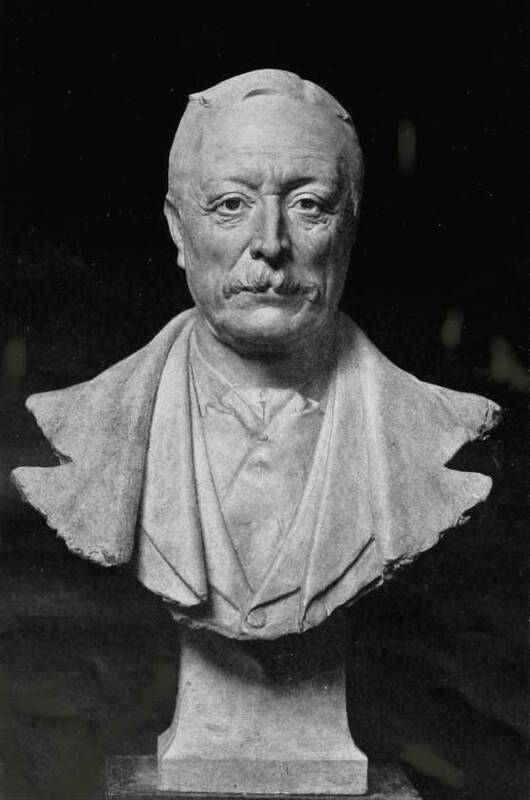 This fine bust is not exactly craggy but certainly not smoothed out and idealised. The face has rather a melancholy cast. Borenius, Tancred, rev. Andrew Jezzard. "Frampton, George James (1860-1928)." Oxford Dictionary of National Biography. Online ed. Web. 3 February 2012. Royal Academy Pictures, 1900. London: Cassell, 1900. p. 74.Internet Archive. Web. 3 February 2012.